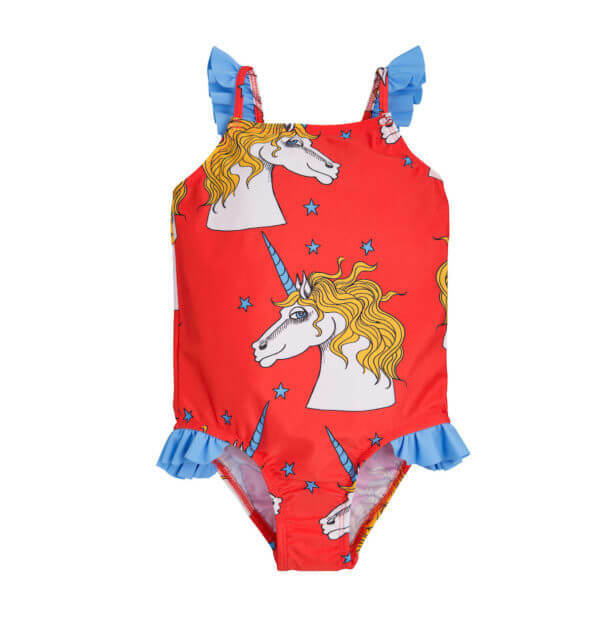 Unicorn Swimsuit red with printed stars and unicorns. 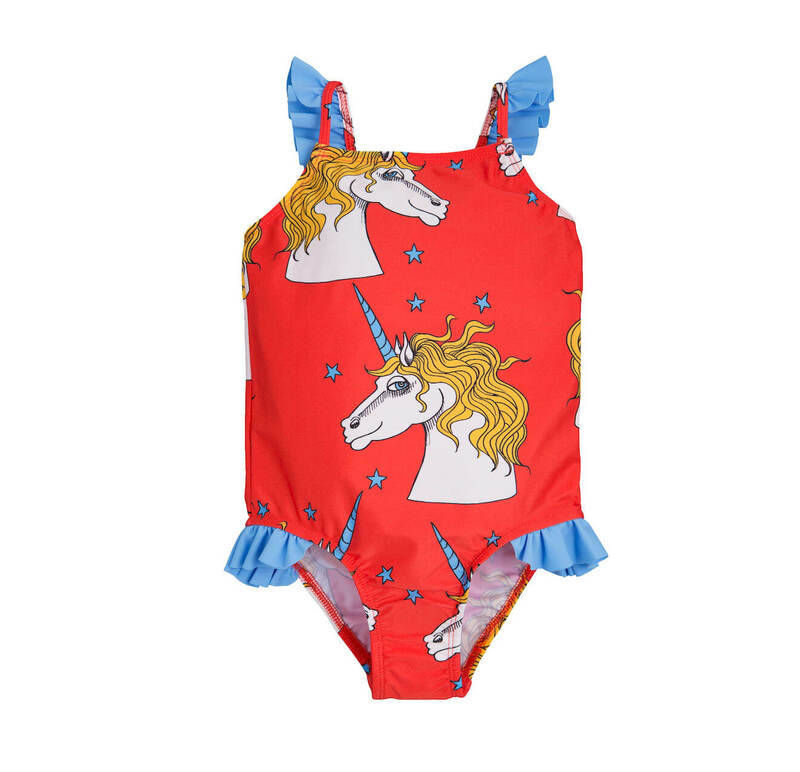 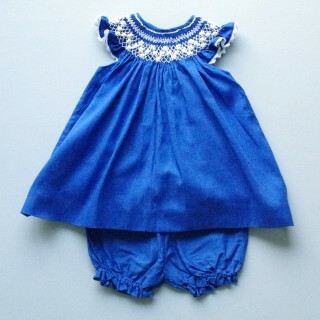 The eye-catching swimsuit comes with light blue frills on the adjustable shoulder straps and at the leg holes. 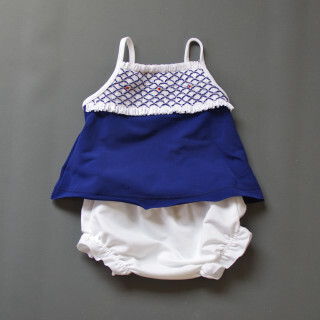 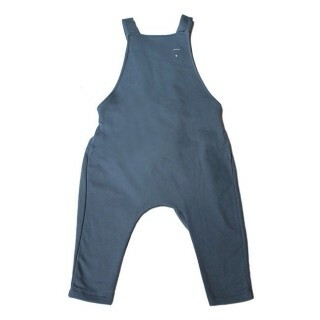 The fabric protects your little one from the sun with the highest ultraviolet protection factor, UPF 50+.